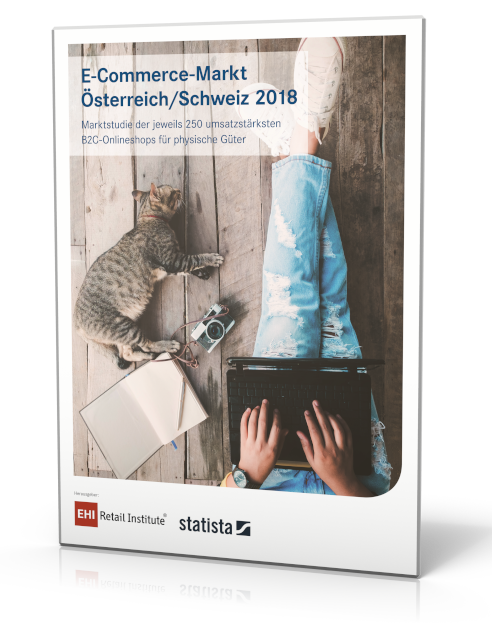 The E-commerce market Austria/Switzerland 2018 report is based on an analysis of the biggest 250 online stores for each country. The Köln EHI Retail Institute, in cooperation with Statista, has carried out the report for the eighth time as an extension to the report E-Commerce market Germany 2018 in Summer/Autumn 2018. The report lists the dealers based on online revenue generated in 2017. The report is ideal for the acquisition of new partners, competition and market analysis. The examination of online stores was carried out from May to July 2018. In context of the analysis the online stores were asked about their revenue and sales channels. Additionally, secondary data was collected from multiple secondary professional databases (EHI, Bundesanzeiger, Statista). Based on existing data, drivers of E-commerce revenue were identified and influencing factors were quantified through a regression analysis, which allowed missing data to be approximated. The revenue information shown relates to the business year 2017. The report consists of 2 professionally prepared documents: one PDF document and one Excel file with 500 data sets of online stores and around 180 columns. You are interested in continuously updated global market data? In addition to the study, Statista offers a database that focuses on the topic of eCommerce: ecommerceDB.com. Use ecommerceDB.com to access detailed information on revenues and contacts for more than 6,000 online stores worldwide. The Statista eCommerce studies are included in the eCommerce subscription. Visit ecommerceDB.com and request the study.